Today marks the 43rd anniversary of the Apollo 11 moon landing. 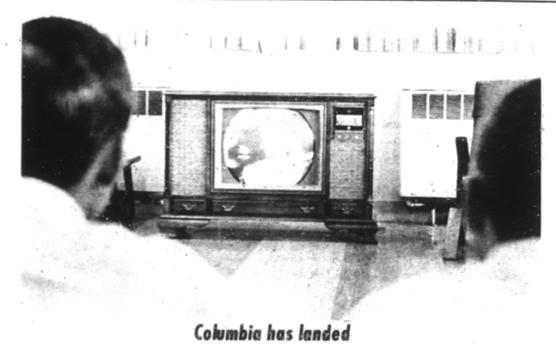 The front page of the July 25, 1969 issue of The Auburn Plainsman featured a photo of Auburn students gathered in the old student union building to watch the crew’s return to earth splashdown in the Pacific Ocean on television. Of course, this photo was featured next to it just as prominently—War Damn Priorities. Related: “War Eagle” was kind of in the running to be the first words on the moon.